Louisiana voters, Tuesday, November 6 is election day. 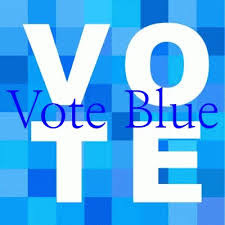 If you want change and "A Better Deal", if you want to reelect our single Democratic congressman, oust Trump's enablers in Congress, insure healthcare coverage for preexisting conditions, and free and fair elections in Louisiana, please vote for the following Democrats on the ballot. Renee Fontenot Free - Secretary of State. Tammy Savoie - 1st Congressional District. Congressman Cedric Richmond - 2nd Congressional District. Mimi Methvin - 3rd Congressional District. Ryan Trundle - 4th Congressional District. Jessee Fleenor - 5th Congressional District. Please vote for the 2nd Constitutional Amendment on the ballot requiring unanimous jury verdicts for conviction for felonies. If one or two out of 12 jurors have reasonable doubts about whether the person on trial is guilty of one or more felony charges, then that should be reason enough for a verdict of "Not guilty". 3. Immigrant children separated from their parents and locked in cages.